...With Her Darkest Work Yet! Following her first highly-selling book, THE WITCHERY Greene has returned with a wonderfully Dark and Highly-Effective new system, utilising the ages-old, traditional Witch Runes of the lighter side of her Craft, to produce an ASTONISHINGLY POWERFUL system of strong, Black Witchcraft. 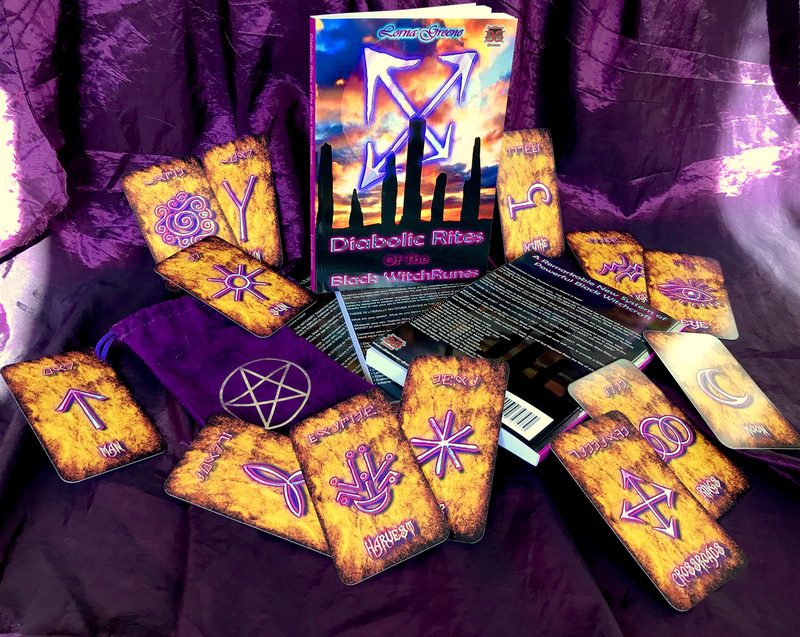 Supplied complete with your PERSONAL Deck of 13 Dark WitchRunes, complete with your beautiful velvet storeage pouch, this empowering book lays bare, step-by-step how YOU can harness the age-old Powers contained in these Sacred Symbols. Written in clear, easy to follow language, Greene presents a series of powerful exercises, each carefully designed to awaken and boost your own, natural Witchcraft Powers, prior to showing you exactly how to use your set of WitchRunes to bring ANYTHING YOU WANT into your reality! THERE IS LITERALLY NO OTHER SYSTEM IN THE WORLD LIKE THIS! What are your goals? What do you desire in life? Success? Happiness? Wealth? 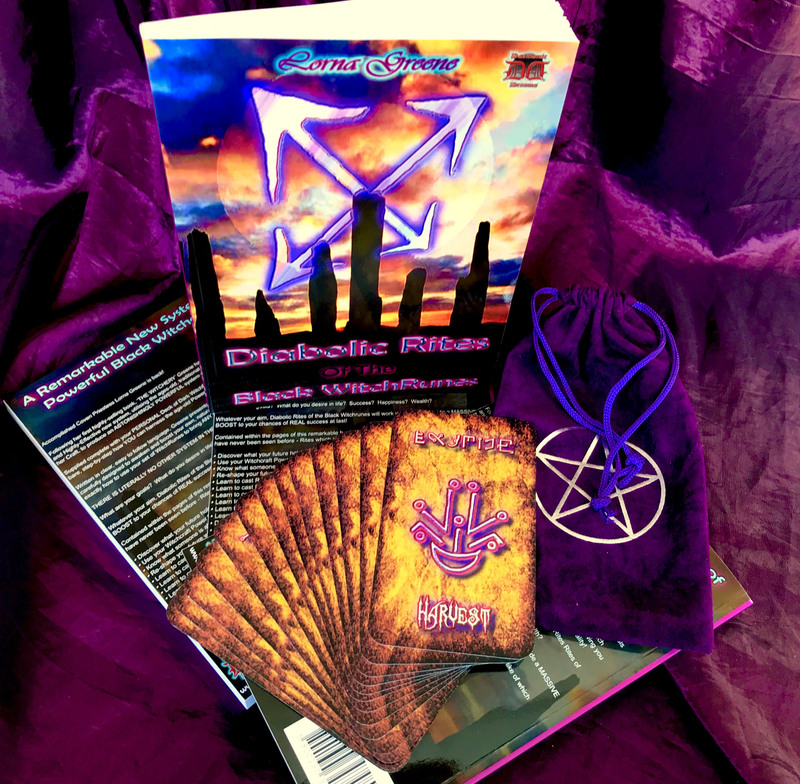 Whatever your aim, Diabolic Rites of the Black Witchrunes will work with you, to provide a MASSIVE BOOST to your chances of REAL success at last! Discover what your future holds.  Use your Witchcraft Power to Dominate others. An ESSENTIAL addition to any Occult worker's Library - get your copy TODAY!